Developer George Epperly purchased 160 acres at the corner of S.E. 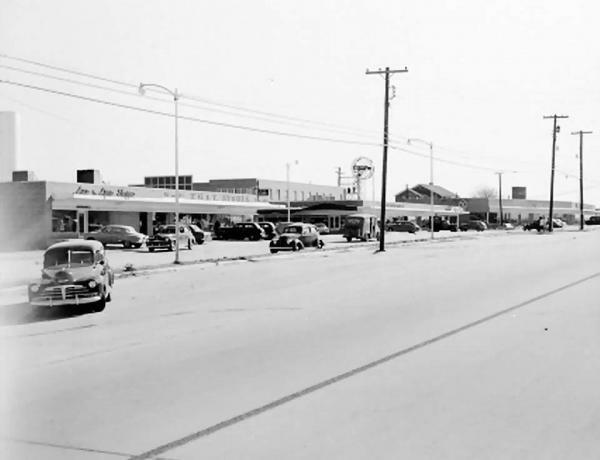 29th Street and Sunnylane Road in 1946 with a plan to build fifty houses. Despite opposition, the unincorporated Epperly Heights and its 200 families voted to approve incorporation on October 9, 1948. In February 1959 Del City adopted a charter and a council-manager form of town government. The city was named for Epperly's daughter, Delaphene Campbell. 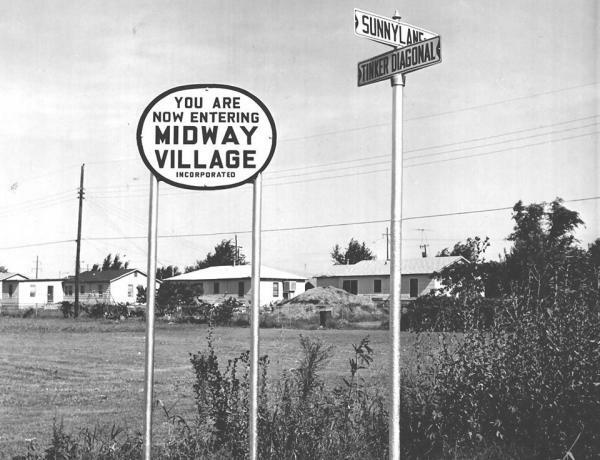 The city expanded through the annexation of Carter Park in 1954 and Midway Village in 1963. The city also acquired a piece of undeveloped land that separated it from Tinker Air Force Base. Oklahoma City also annexed this same piece of land, and a court fight ensued. In District court Del City won and Oklahoma City appealed to the State Supreme Court., Del City officials while awaiting the hearing pursued negotiation again, and Oklahoma City accepted twenty acres along the Tinker AFB boundary. Del City having expanded to its greatest possible physical limits in 1964, Joined Midwest City and Norman in underwriting the Little River Reservoir Project that became Lake Thunderbird. The Del City Historical Society was organized in 1975 with Andy Evans as its first president. Del City citizens wanted to learn more about their heritage. Fortunately, several children of the Eighty-niners (89ers) still lived in the area, and they identified every original homestead within city limits. Residents also learned that their town was on the path of the 1870s Arbuckle Trail, a Texas to Kansas cattle trail. Of more recent acclaim, wrestler and two-time Olympic Gold Medal winner John Smith resided in Del City. With home building and family-oriented amenities the founding focus, Industry was slow to develop in Del City to create any jobs (99 percent of Del Citians commuted to work in 1948, while only 96 percent commuted in 2000). Don's Alley Restaurant and Midwest Trophy Manufacturing are two businesses of long standing. Don Moore opened his hamburger grill at 4601 Southeast Twenty-ninth Street in 1955 and in 2007 still served food in there. Midwest Trophy Manufacturing, located at 3405 Southeast Twenty-ninth Street, began in Dave Smith's garage in Del City in 1971. At the turn of the twenty-first century it employed eight hundred people throughout North America, four hundred of them in Del City. It is the city's largest industry. The Oklahoma Legislature was reapportioned in 1964. Del City reaped a State Senate seat, District 43 currently held by Jim Reynolds, and a State House seat, District 94 currently held by Scott Inman. There have been two newspapers in Del City, the Del City Leader and the Del City News. By 2000 Del City was served by the Mid-Del School District and Rose State College.